McDonald Association Management Company, Inc. (McDonaldAMC) offers a strong team with a proven background and experience in association management, member services, financial management, event planning, technical development strategy, and sales and marketing. The team understands the importance of developing tailored solutions and results for each client’s individual needs to ensure quality membership growth, increased value to current and future members, and the overall health and viability of the association. Jenifer began her career in the State Capitol in 1981 when she was hired by Assemblywoman Marian W. La Follette (Northridge) to serve in her Capitol office. During the 10 years that Assemblywoman La Follette served in the Legislature, Jenifer took responsibility for the overall operation of both the Capitol and District offices as Chief of Staff. Jenifer trained the staff in the procedures and operations of the State Capitol and state legislator’s office, followed legislative issues of interest to constituents and drafted proposals for the office legislative package. As a liaison for the Assemblywoman with the public, Jenifer planned and coordinated Sacramento and district events, such as town hall meetings and small business conferences and was the spokesperson for the Assemblywoman with the public and the press. When Jenifer served as Executive Director of the California Association of Collectors, she was responsible for the complete reorganization of this association that represented 400 bill collection agencies. In addition to her day-to-day management duties, she planned and coordinated all aspects of the Annual Meeting & Trade Show and Midwinter Legislative Conference and served as managing editor of a monthly 40-page trade magazine that included paid advertisers and articles on industry and business-specific topics. During her more than 12 years as Assistant Vice President and Corporate Secretary for the Association of California Insurance Companies (ACIC), Jenifer was responsible for office administration, management of all legislative support services, budgeting, investment planning, membership growth and retention, meeting planning (including the ACIC General Counsel Seminar and Annual Meeting) and management of the ACIC Political Action Committee. Jenifer is a member of the American Society of Association Executives (ASAE), the California Society of Association Executives (CalSAE) and Meeting Planners International. She previously served on the board of the Family Service Agency, as treasurer of Eastern Little League, was actively involved for 13 years in the Active 20-30 Club of Sacramento and was as a member of the UC Davis Medical Center Leadership Council. Sean brings a wide variety of experience as he is currently working with multiple associations, and several professional sports teams in his previous career. Along with a strong meeting and event planning background, he has experience in corporate development, trade show management, website and registration design, budget forecasting (and staying within budget), onsite staff management, hotel contracts, RFP processes, and audio visual services. Sean has been a full time Associate of McDonaldAMC since 2010 and has been part of the meeting management team for six years for the Combined Claims Conference (CCC), a two-day program offering continuing education for CPCU, RPA, MCLE, CIPI, CALI, WCCP and the California and Texas Departments of Insurance for independent adjusters, attorneys, investigators and brokers, in addition to many other association meetings and conferences. During his time as the meeting planner for CCC, the conference has seen an increase in attendees, sponsorships, exhibit booths and revenue every year since 2011. Sean’s meeting planning experience with McDonaldAMC ranges from 1-day Board Meetings with 25 Board Members to week long conferences and trade shows with over 1,000 attendees. Sean began his career in sports marketing and sales at Staples Center in Los Angeles for the Los Angeles Clippers. Sean then moved north to work for the Oakland Athletics baseball team for three seasons coordinating their group events, luxury suite sales and season ticket programs. During his college years, he interned for the Constituent Affairs Office for Governor Arnold Schwarzenegger and the California Toxic Substances Control Division. Sean graduated from Cal Poly San Luis Obispo with a B.S. in Agricultural Business. He is a member of Sigma Phi Epsilon fraternity, Active 20-30 Club #1, California and American Societies of Association Executives and Meeting Professionals International. He is always looking ahead to new meeting trends and technology to stay ahead of the millennial trends while keeping the importance of the association history in place. Frank joined the company in 2014 and is responsible for all business and accounting services. Frank is the lead team member for financial and accounting services for all clients. He became QuickBooks certified in spring 2015 and continues to enhance his skills and knowledge of finance. His ability to produce reports in a detailed structure allows clients to understand their association at a deeper financial level. Frank graduated from Cal Poly San Luis Obispo with a B.S. in Agricultural Business. He is a member of the Pi Kappa Alpha fraternity and served on the Executive Board as Sergeant at Arms and on the Inter-Fraternal Council as Vice President. Frank’s experience has been focused on sales in the technology industry, his previous employers include MindBody and Yelp. Frank is currently enrolled in the MBA Program at California State University, Sacramento. He is also the Board Secretary of the MBA Networking Association at California State University, Sacramento. Prior to joining McDonaldAMC, her most recent work was with University Enterprises at Sacramento State University. Her association work from 1995-2015 was with the Sacramento Educational Cable Consortium. She was the Office Manager for Active 20-30 Club United States and Canada under the leadership of three National Presidents (Randy Tomlinson (Calgary), Chuck Stark (Santa Rosa) and Fred Simpson (San Fernando). She is a Past President of Greater Sacramento #1032 and a Past Active Life Member of Active 20-30. Dale has been successful in business management, problem solving, contributing to shared objectives and providing superior administrative support. She easily adapts to changes in leadership and works towards smooth transitions. Prior to joining McDonald AMC, Terri was a Project Manager for a marketing agency representing large non-profit clients. Terri managed a team to provide design, copy-writing, and print for all fund development marketing materials to include direct mail, website builds, annual reports and field representative materials, data analytics, and consulting. With over 15 years of Non-profit fund development and project management experience, Terri’s experience and skills will help support our client’s needs. Alison has been associated with the company since 2009. Her cheerful disposition and friendly phone voice are true assets to the company. Alison manages the meeting registration desks for several clients as well as providing administrative support to the entire team. 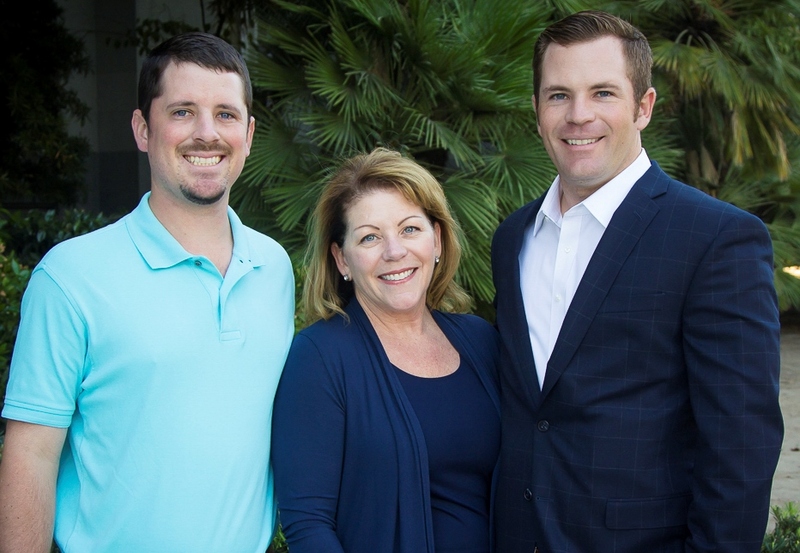 Alison’s experience includes working for Canterbury Capital Services, a stock brokerage and consulting firm in Newport Beach where she worked in the operations department. 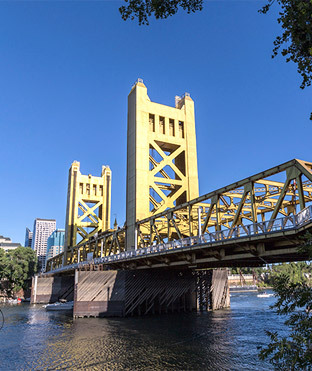 She continued that operations work when she relocated to Sacramento in 1996 and worked in the operations department at Dean Witter. Alison is also experienced in the food/hospitality industry. She and her husband are the owner/operators of Gold Rush Grille, a restaurant housed in the Secretary of State’s building in Sacramento.